...we are ALL creative beings. ...every person’s truth is unique and valid. ...we are all hungry for a deeper connection. ...the answers we seek are within each of us. ...creativity is a tool for self-discovery and personal transformation. ...there’s an ever-growing group of people on this planet who are ready to dig deeper and find their way home to themselves. …no one needs to feel alone in the process of awakening to their truth. 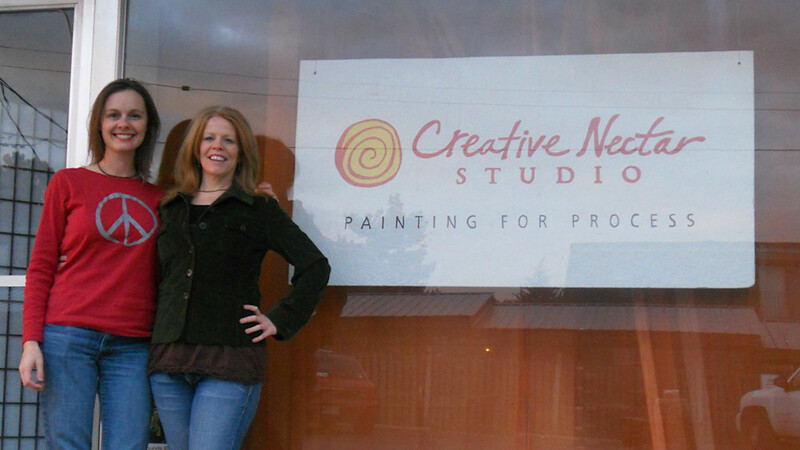 Creative Nectar Studio was formed by artists Jenny Hahn and Stephanie Gray to be a safe haven for creative self-discovery. The two met back in 1999 when they were both attending workshops with their teacher and, later, professional mentor Sarah Oblinger of Paint or Die Studio in Lawrence, KS (now Studio Exanimo in Dixon, NM). 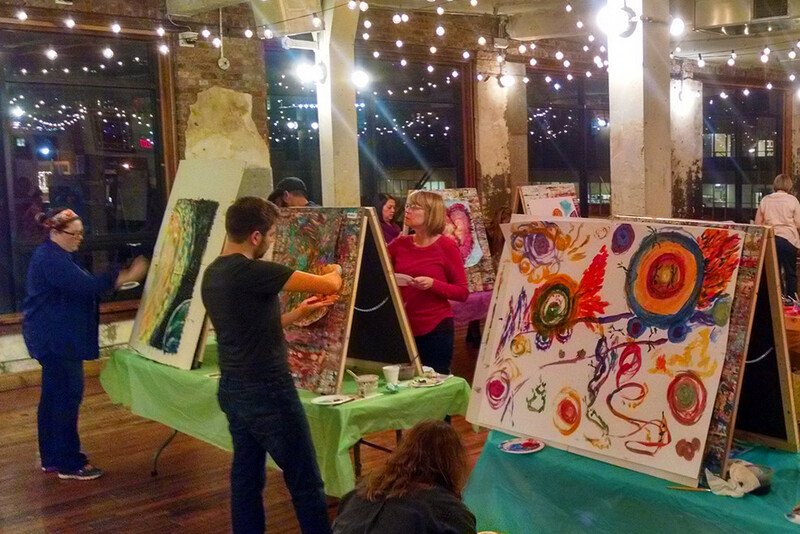 In these workshops they learned how to use process art as a tool for self-discovery. 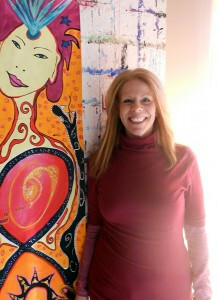 Jenny was at that time a recent art school graduate who received outward accolades but inwardly was suffering from an eating disorder and the associated self-hate that comes with it, and Steph came to the process without formal art training but in the midst of overwhelming life challenges and transitions. Each became hooked to process arts in their own way. 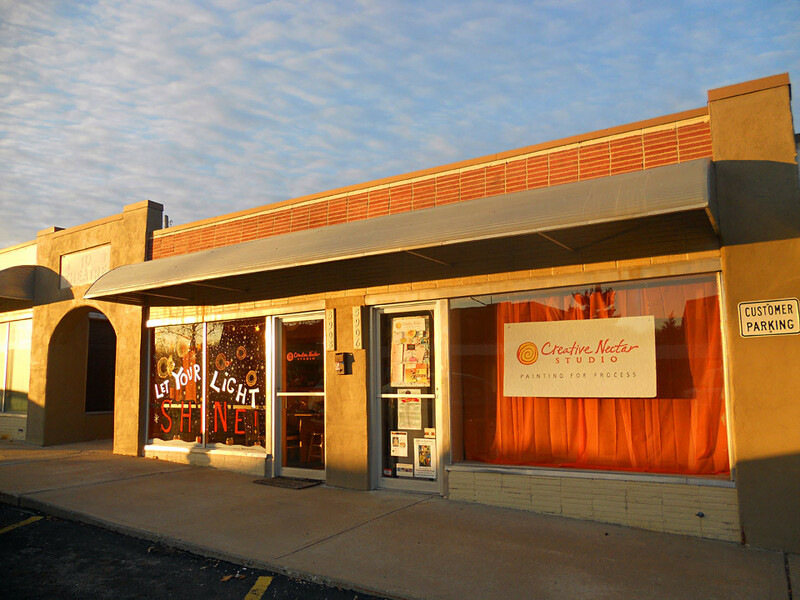 After years of doing their own personal process work and seeing the transformative results in their own lives (and after each having opened studios in a small way on their own) the two joined forces in 2011 to form Creative Nectar Studio and open doors to the public with a storefront space in Mission, Kansas. And rightly so; it became their "mission" to offer a safe haven for creative self-discovery for those seeking a deeper connection to their true self. 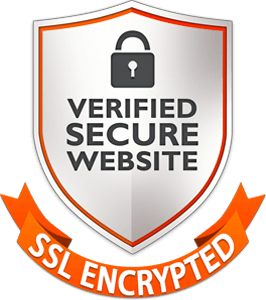 They went about this by providing a nourishing and supportive schedule of weekly classes as well as a rich online presence, blogging their own experiences and sharing tools they discovered as they traveled through their own journeys. They hosted guest facilitators and bloggers who each brought their own unique flavor to the world of process work. 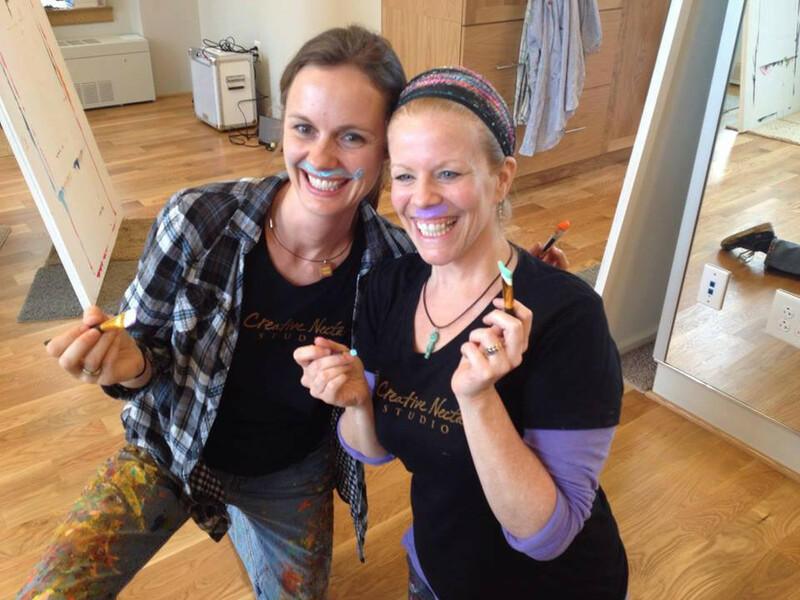 Eventually Jenny and Stephanie each began to expand their reach by offering on-site process art workshops at various locations as well as in-person and virtual one-on-one experiences with folks from around the world. Through these offerings, they envisioned and continue to envision an awakened world where each person is empowered to create and express their authentic truth. Hundreds of women and men came through the doors of Nectar to experience the freedom of creating with deep self-awareness without concern for the end result. Since that time, Jenny and Stephanie have closed the doors to that physical space in Mission KS, so that each could focus on and expand their growing areas of focus; for Jenny it's the on-site process painting workshops she leads across the country, and for Stephanie it's in-studio weekly HeArt Journaling groups and one-on-one online sessions led out of Inside-Out Studio, her home studio in Missouri. Process art involves creating from the inside out and happens organically, without being told how or what to create. In this space we are free from comparison and critique, with the focus placed on the experience rather than the finished product. Creating in this way drops us from our head space into the space of the heart. There are no mistakes, and no experience is necessary. While this is not art therapy in the traditional sense, the process itself is very therapeutic. Participants speak of a deeper connection to themselves and a greater acceptance of their experiences. The process is healing on many levels. Being open to growth and facing one’s fears leads to joy and a sense of accomplishment. We recognize that every person is a creative being with unlimited potential and when we show up and tap into that creativity, our unique expressions emerge naturally and we begin to uncover a sense of self that we may have forgotten existed. 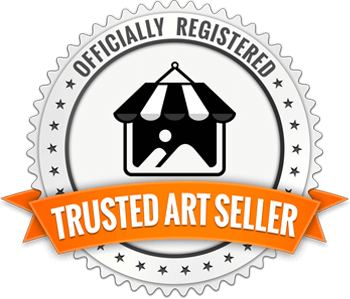 Stephanie Gray is a writer, artist, process arts facilitator, creative self–discoverist and co-founder of Creative Nectar Studio. Her main focus is working with people as they make their way through life transitions by providing suggestions on how to stay connected to self during shifting times. 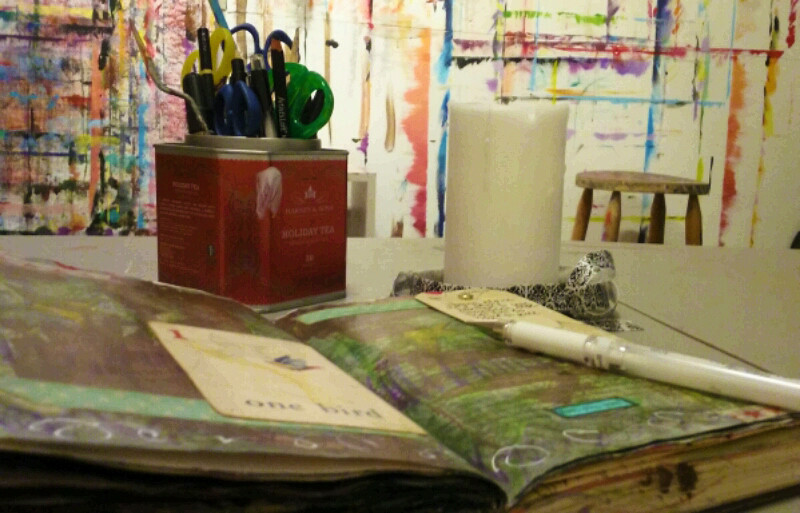 Stephanie combines art making, creative writing, active listening, heart-based questioning and over 20 years of her own self-discovery practice to assist individuals in living a more authentic life, cultivating awareness of their sacred selves. Stephanie facilitates creative self-discovery in person from her home - Inside Out Studio - and online with folks all over the globe. Jenny Hahn, co-founder of Creative Nectar Studio, is an artist and soul explorer on the ever-unwinding journey toward self-discovery. Using the vehicles of process painting, insight meditation, yoga, dancing and simply breathing in nature, her intention is to fully meet and embrace each present-moment experience with awareness and acceptance. Jenny has studied insight meditation (Buddhist "Vipassana") under the guidance of dharma teacher Robert Brumet for 20 years and weaves the mindfulness teachings and gentle body awareness into her workshop facilitation. 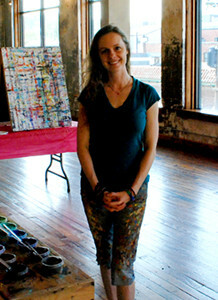 She is an occasional yoga instructor and a founding member of the Unity Arts Ministry based out of Unity Village, MO.